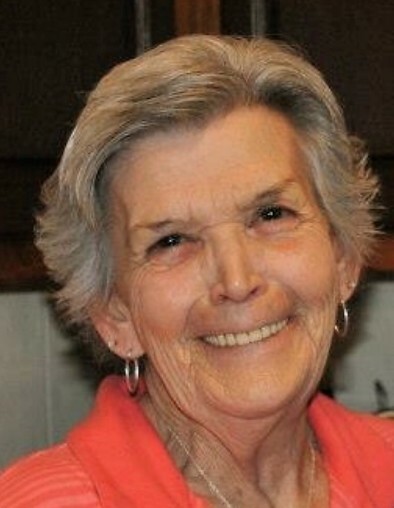 Junia “Kay” Ratliff, 72, of 51 Ed Whitt Road, West Liberty, Kentucky passed away on February 1, 2019 at her residence after an extended illness. She was born December 29, 1946 on Lick Fork, (Morgan County) KY to the late Harlan Perry and Bessie Pearl Engle Perry. She was a homemaker, a loving wife, mother, grandmother and sister. At a very young age she accepted the Lord Jesus Christ. In addition to her parents, she is preceded in death by one son-in-law Anthony Lee Ferguson, two sisters Betty Vest and Sue Wilson and one brother Vernon Perry. Survivors include her husband Randall Ratliff of West Liberty, KY; two daughters Teresa Ferguson and Taretha Ball (Tim) all of Morehead, KY; two sons, Joe Wayne Miller (Andrea) of Chillicothe, OH; Brent Ratliff (Brittney) of Morehead, KY; ten grandchildren Danielle Lyons, Samantha Parker, Ashley Miller, Roni Dowd, Lucas Miller, Piper Dowd, Teegan Miller, Danielle Grigsby (Jody), Kyler Ball, Alexis Ferguson. Three great-grandchildren, Hunter Lyons, Addison Parker, Addison Grigsby. Four grand-dogs, Miss Carson, Chuck, Penni and Tucker. Four sisters, Paula Dixon (Bill) of West Liberty, KY; Charlotte Robinson (Randy) of Salyersville, KY; Phyllis Gullett (Steve) and Vickie Dagnan (Johnny) all of West Liberty, KY. Special friend Patricia Williams of West Liberty, KY.
Funeral services will be held 1:00pm Tuesday, February 5, 2019 at Lick Fork Church with Bro. Johnny Dagnan and Bro. Gary Ferguson officiating. Burial in the West Liberty Memorial Gardens, West Liberty, KY. Visitation will be 11:00am Tuesday at Lick Fork Church, West Liberty, KY. Herald & Stewart & Halsey Funeral Home, West Liberty, KY. Honorary pallbearers: All of her many friends and family. Active pallbearers: Matthew Perry, Travis Perry, John Dagnan, Chris Wilson, Adam Dagnan, Jonathan Sargent, Steven Gullett and Kyler Ball.